THE SOURCE: OF CHRISTMAS (2006) In 2005, the unconventional and traditional Christmas concert The Source: of Christmas celebrated its 10th anniversary with great fanfare. The concert was recorded by Jan Erik Kongshaug and resulted in a Norwegian Grammy-nominated release! The Source: of Christmas is an extravagant Christmas musical celebration where artists from many different parts of the world come together in versions of beloved Christmas songs, whether they perform them in Crooner-style with big band punch, or as Algerian raï, Chinese opera or cabaret songs. Over 50 artists, musicians and dancers are part in a spectacular show, and now also available on CD. Among the guest artists are singer Cheb Hocine, mezzo-soprano Anne-Lise Berntsen and Tora Augestad, Lars Klevstrand, Jarle Bernhoft, Youssou N'Dour Cairo Orchestra led by Fathy Salama, accordionist Frode Haltli and many more. 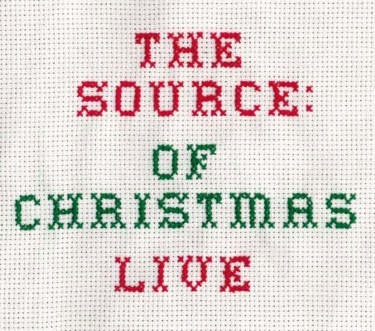 The Source: of Christmas is definitely a Christmas album like no other.